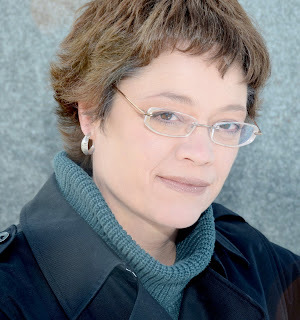 I'm very excited to welcome Donna Galanti to Book Den today. Be sure to enter her giveaway and check out which books are on sale for free and $.99. Her books have been on my wishlist for a while so you know I'm scooping them up! He stood at the lake on its shore. The stillness covered him in peaceful quiet. The moon shone high overhead painting the wave tops with gold that lapped at the water's edge. Something moved in the distance on the path leading around the lake. It was a girl. She walked toward him as if she knew him. Finally, she stood before him and smiled. He found himself smiling back. You're welcome! Thank you for the great post. I've always been fascinated by dreams, too. My recurring nightmares have always been about alligators and tornadoes. I'm with you - why not rainbows and kittens? What a scary combo - alligators and tornadoes! I also had theme nightmares about lava chasing me. I would often be running across snow to fall through to a lava river below. A few years ago I went through a period where I would have nightmares for several months at a time. They were the kind where you would startle awake, doze back off and enter right where you left off. I got to the point I dreaded to go to bed. I never was able to pinpoint what was causing them - maybe general stress. Either way, they finally stopped and now I only have a nightmare from time to time. My husband will dream he is fighting monsters from time to time and when he does, he actually kicks. Glad he doesn't punch and yes, I've kicked him back to wake him up. Does that make me a horrible person? Thanks for a great feature today and the book looks really good! Barb, how terrible you were afraid to go to sleep! Glad that ended. :) I have definitely kicked my husband to stop snoring. Ha ha! Barb, that's so rough. I'm glad those dreams went away for you. My pregnancies were like that. CRAZY dreams.